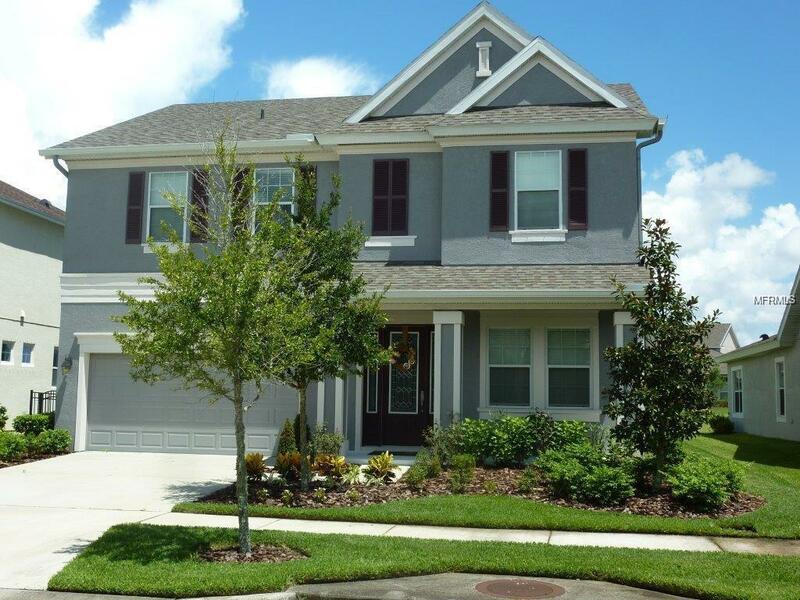 This home in the desirable Waterset Community sit on a beautiful oversized lot and has 4 bedrooms a bonus room, 2 1/2 bath, and a tandem garage. 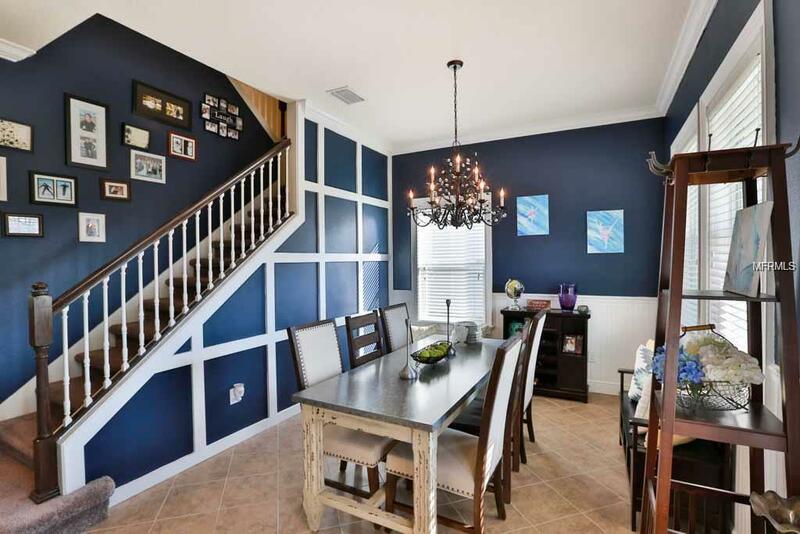 This home features an open floor plan and crown molding in areas. 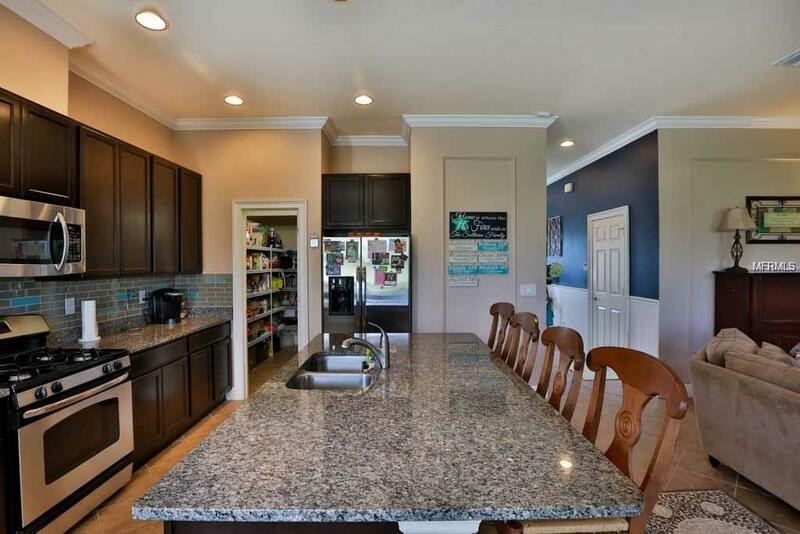 The kitchen has a large island breakfast bar with granite counter tops, stainless steel appliances, back splash, walk in pantry and eating space to add a table. There is also a separate dining room when you enter the home. The kitchen and living area have the view of the oversized backyard. The second story has 4 bedrooms a bonus room, separate laundry room for your convenience. The exterior features a screened lanai, gutters and a backyard waiting for a pool. The community of Waterset has so much to offer Clubhouse, Cafe, Pools, Walking/Jogging paths, parks, fitness center, fishing pier, Volley ball, Pickleball and lots of entertainment and activities throughout the year and so much more!